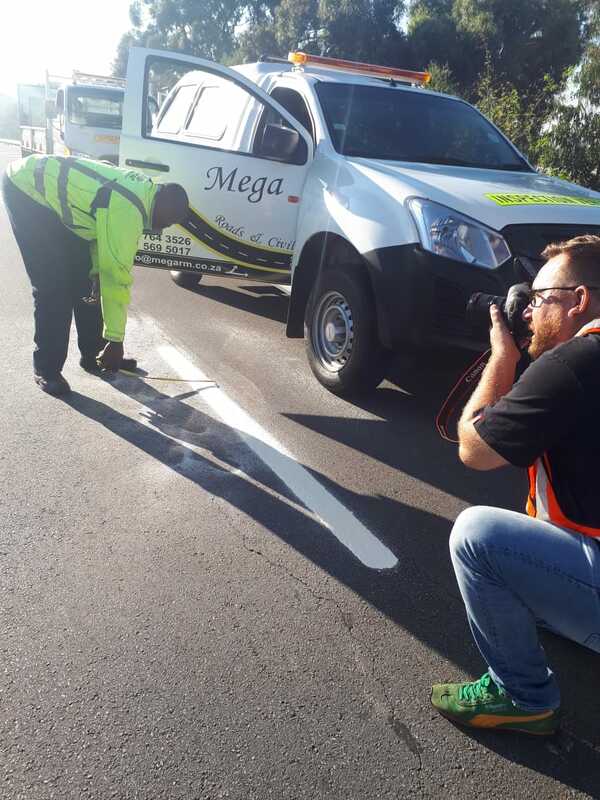 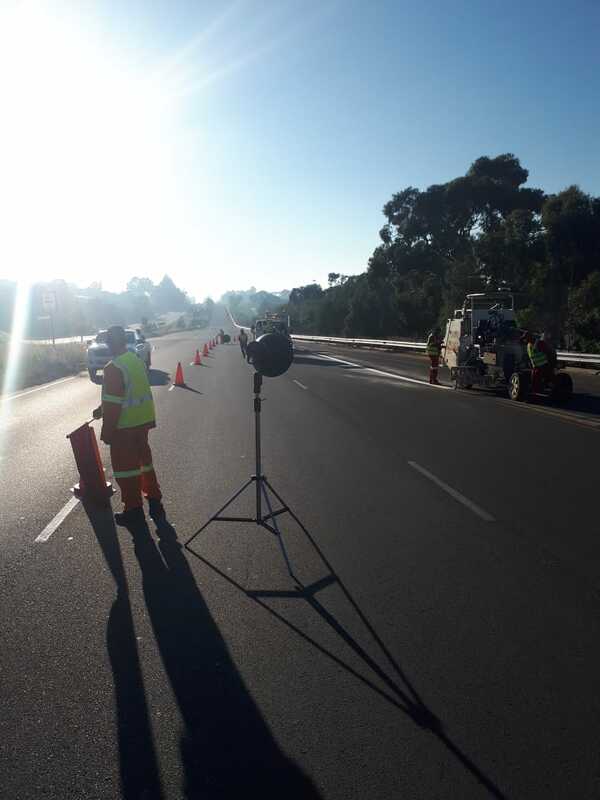 Bright and early on a Sunday morning we were out on the road with Morgan and one of the Gauteng road marking crews from Mega Roads & Civils (Megaphase Road Marking) one of the many South African businesses that benefit from the assistance of Stefanutti Stocks Enterprise Development. 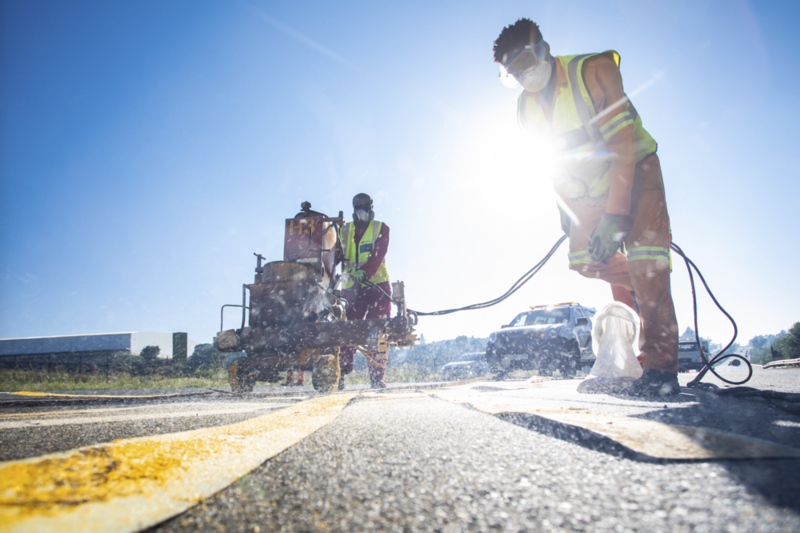 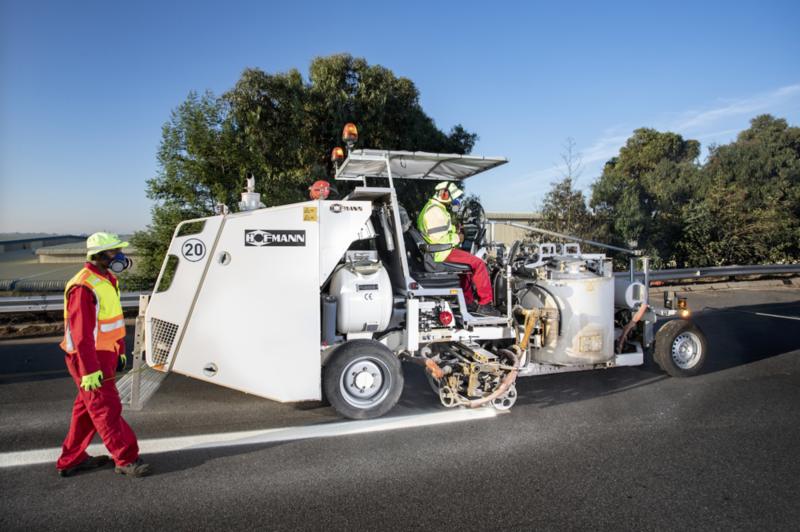 These guys use water- and air blasting techniques to clean the remnants of old paint, grease, diesel, dust and other dirt and grime from the road surface, before painting on the bright new road markings in long lasting thermal paint. 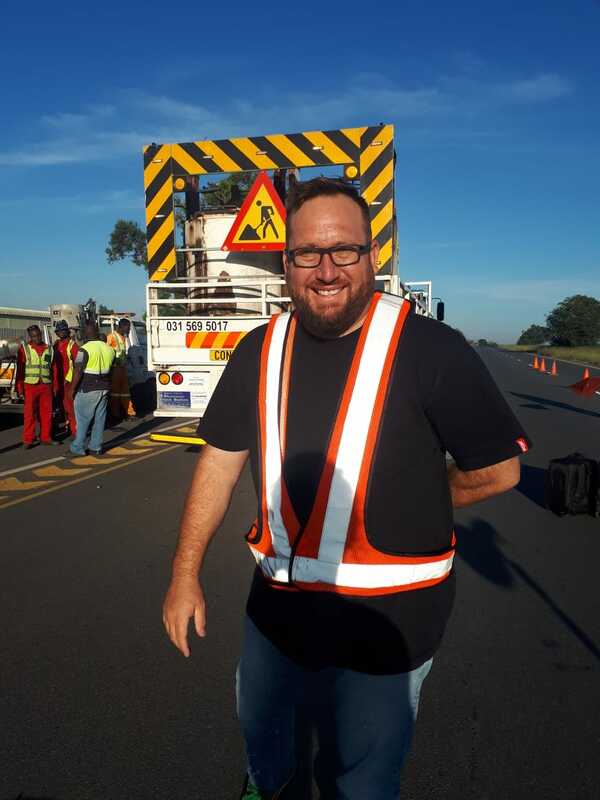 Given the attitudes of some motorists when faced with delays, it seems a bit of a thankless job sometimes, but remember, these people help make the roads safer for everyone. 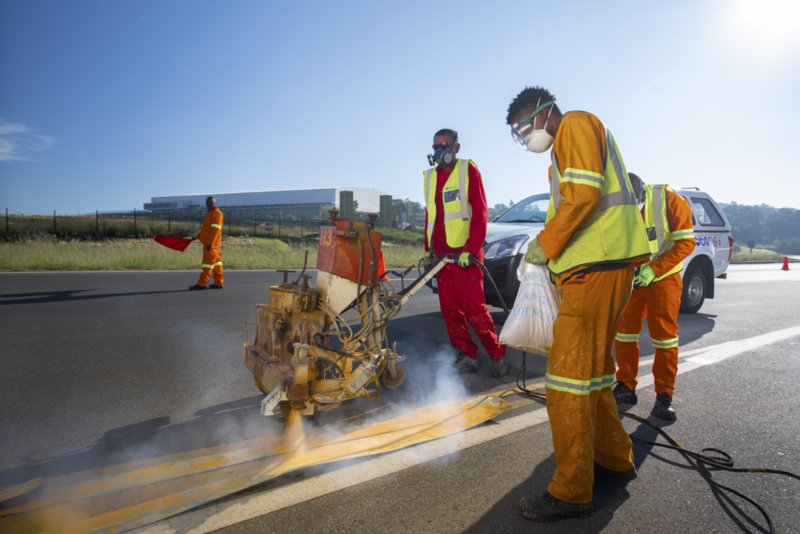 It’s hot, sweaty, messy and sometimes even dangerous work, but the guys from this road crew were friendly, efficient and fun to work with. 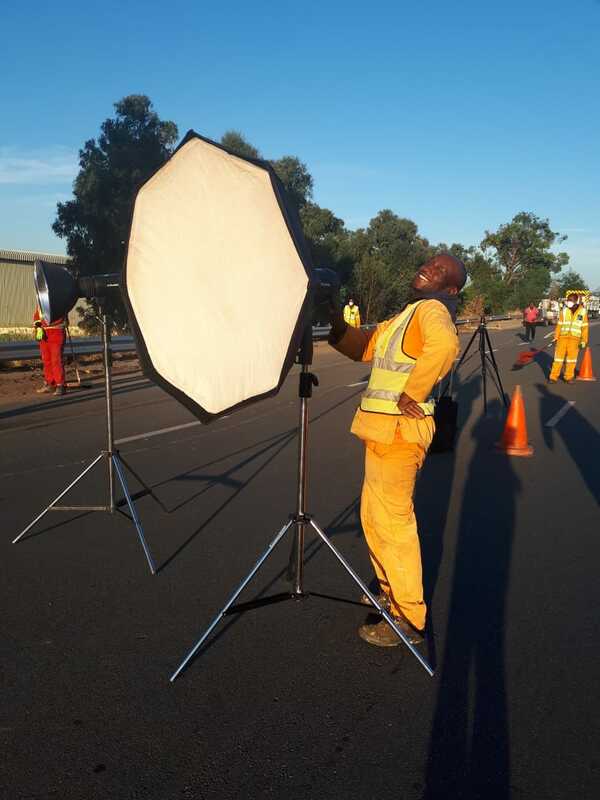 We had some good times behind the scenes on this photoshoot.